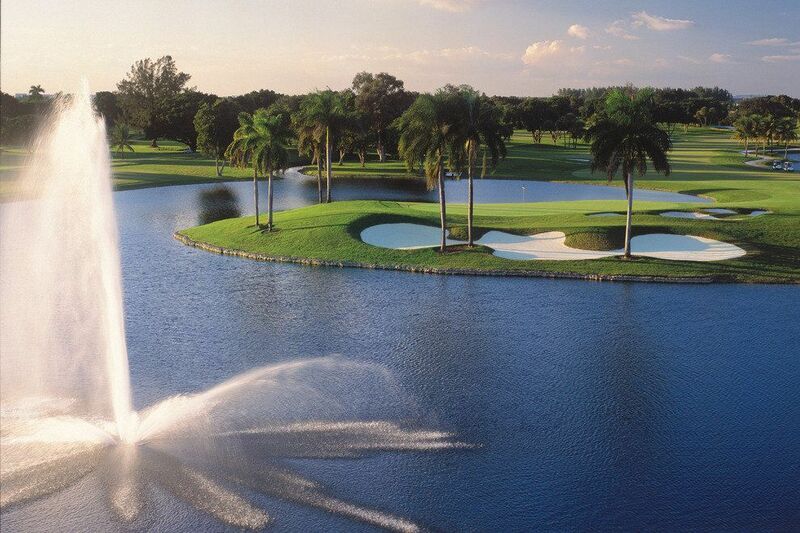 This course may be booked as part of a TrumpNational Doral "Stay & Play" package. 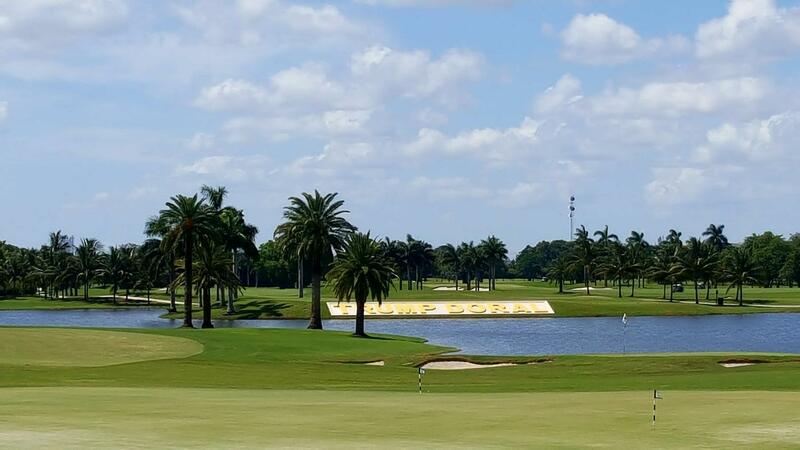 If you are interested ina "Stay & Play" package please see the listing for "TrumpNational Doral Resort & Spa - Stay & Play" on the lodging pagefor details. Already renowned the world over and rich with history, the famous Blue Monsterat Trump National Doral is tougher, significantlylonger, and more dramatic than ever before. Restored to its past grandeur inmid-2014 thanks to the vision of Doral's owner DonaldJ. Trump who acquired the hottest golf course architect, Gil Hanse, tometiculously re-sculpt every hole. The 7,590 yard coursefeatures a series of strategically placed deep bunkers, long flowing fairways,interesting undulating greens, deep Bermuda rough anda challenging assortment of water hazards - all of which combine for a coursethat requires both length and finesse to score well. The famous 18th hole is traditionally ranked as one of the most difficult onthe PGA Tour. It is no surprise that virtually every greatname in golf has had a moment of personal triumph on this world-class course(Jack Nicklaus won twice, Greg Norman three times and Tiger Woods four).Nor is it any surprise that it has once again securedits status as the current and future home to the World Golf Championships- Cadillac Championship. A forecaddie required for the Blue Monster.